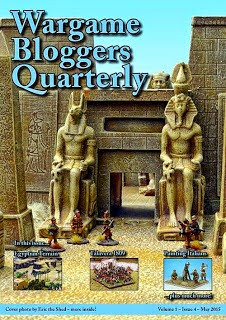 The latest issue of the wargamer's fanzine has just been published. This issue is of particular interest since there is an article on creating desert terrain. Just in time for Pyramids of Mars... A PDF can be downloaded here. What a great read, well done to all will be keeping an eye on your blog in the future.